In 2019, we will get to see the season 5 of the Netflix series. It happened to be late because of the work and time required on Bandersnatch. Brooker said that working on the movie was like doing several episodes at once. Here’s everything we need to know about the upcoming installment. Black Mirror Season 5 Release Date: When Will It Premiere On Netflix? 1 Black Mirror Season 5 Release Date: When Will It Premiere On Netflix? 2 Black Mirror Season 5 Trailer: Is there any promo? 3 Black Mirror Season 5 Plot: What’s Going To Happen? 4 Black Mirror Season 5 Cast: Who’s returning & new characters? 5 Will there be any more Black Mirror choose your own adventure episodes? Brooker said that season 5 episodes are about to happen, after the release of Bandersnatch. However, an official release date is not known yet. But, we can expect new episodes to air in 2019, and as Brooker said, much of the filming work was done alongside their adventure movie. They had shot one of the episodes of fifth season before starting the Black Mirror film. Earlier, they weren’t sure if they would like to make the flick a part of forthcoming installment. Netflix suggested them to do it as a standalone thing. As they started filming it, it got so bigger that they had to make it a standalone thing. The streaming giant surprised its subscribers as the company confirmed the Bandersnatch release days before its release. However, it’s unclear if they will attempt the same trick with S5. Black Mirror Season 5 Trailer: Is there any promo? Well, there is no official word on the premiere date. So, there has been no promotional video for the same as of now. We will update the page as soon as it is released. Bandersnatch’s trailer was released a day before its release. Going by the same trend, it looks like we have got some time to wait. Black Mirror Season 5 Plot: What’s Going To Happen? 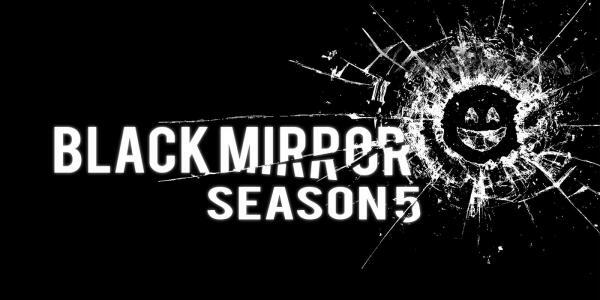 According to Brooker, the installment five will be based on a mix of Black Mirror’s trademark nihilistic tone and some lighter episodes. They will contain all different tones, so doing BM S5 will be similar to doing Bandersnatch in that way, according to co-showrunner Jones. The earlier suggestions included doing new episodes overtly political in tone. The showrunners wanted to do it in a dystopian present. They didn’t write an episode about Brexit, intentionally, as they wanted to see how things go turnaround. So, they had to wait in a way. Some fans made calls asking Black Mirror to return to previous stories with the new episodes. Most of the sought after episode was San Junipero. However, Brooker has given a caution notice before expecting any sequels. They said that they won’t return to San Junipero, at least not in its current form – unless they have a very good reason for revisiting those characters. They weren’t sure if they would to like to do that as an episode. It may happen as a graphic novel in future or sort of commemorative biscuit. So, it looks like Black Mirror’s creators are keenly dropping subtle references and Easter eggs that link previous episodes together. It’s not clear if it’s building to some huge revelation, but you should keep your eyes open for similar tricks when 5th season releases. Black Mirror Season 5 Cast: Who’s returning & new characters? The names of the stars of upcoming installment is a closely guarded secret. But, we know a few names, starting with Miley Cyrus. There have been strong rumors that the singer/actress would be a part of new episodes. Even, she herself confirmed the rumors in an interview. All of a sudden, she backtracked, but later said mysteriously that she is actually excited for everyone to watch the project. As per the reports, Avengers: Infinity War star Anthony Mackie and Aquaman’s Yahya Abdul-Mateen II have been reportedly cast in it. Mackie is known for playing Falcon in Marvel movies. He will also be seen doing a lead role of Takeshi Kovacs in Altered Carbon season 2. Abdul who was last seen as Black Manta in Aquaman is having discussions for the lead role in Jordan Peele’s Candyman sequel. He will also be seen in HBO’s Watchmen. Will there be any more Black Mirror choose your own adventure episodes? After doing one interactive episode, the showrunners have plenty of ideas to work upon ‘choose your own adventure TV.’ But, you shouldn’t be expecting it anytime soon. Brooker said that they could be doing a true-crime documentary – sort of investigating leads and eventually killing someone. There can be a lot of scenarios to make up the story. They could also be thinking of an action thing. There are a lot of different genres that they could be looking forward to apply in the next iteration. The plot of Bandersnatch has been closely aligned to the format. But, issues can arise while making interactive TV that everyone would wish to take the format on would have to deal with. The roles define their characters. On one hand, Bandersnatch allows fans to sit back and watch it as a sort of drama. On the other hand, being an interactive series, you need your remote control close by, so that you can’t ever forget that you are there. While watch a TV show or a film, the viewers are caught up in it most of the times, but you are being reminded every so often in Black Mirror, and you had to be, as said by Brooker.